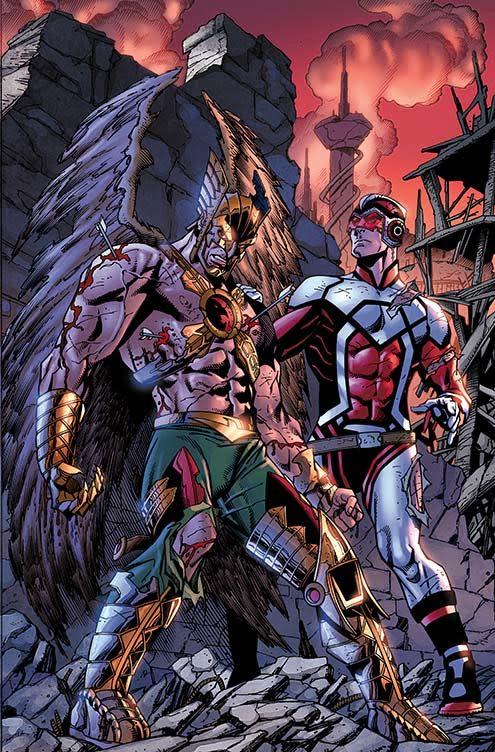 Will Anybody Care If DC Comics Kills Hawkman Again? Hawkman's history in DC Comics is as long as it is mind-bogglingly complex. So when the publisher revealed that its latest miniseries is called Death of Hawkman, it had us wondering if there's anyone who's been able to follow along long enough to care that the feathered hero could meet his maker. The Hawk-heroes — whether they be man, girl, woman or otherwise — have always had a complicated and confusing backgrounds in comics. Sometimes they're reincarnated humans with the spirits of Egyptian rulers trapped inside them, sometimes they're space cops, sometimes something even weirder. Carter, Katar, Shayera and Shiera have been killed off, revived, re-written and re-worked again and again countless times, to the point it's hard to tell what matters any more. That's why today's news that the previously-solicited Hawkman and Adam Strange: Out of Time miniseries, written by Marc Andreyko with art by Aaron Lopresti, is now ominously titled Death of Hawkman, rings a bit more hollow than DC might want such a switcheroo to ring. Set amidst a war between Adam and Katar's homeworlds (thanks to the trickery of Despero), the series finds Strange and Hawkman on the run from Rann and Thanagar while trying to uncover the deceit that's sent their homes into a bloody conflict — one that, given the title, sounds like it could end with Hawkman paying the ultimate sacrifice. 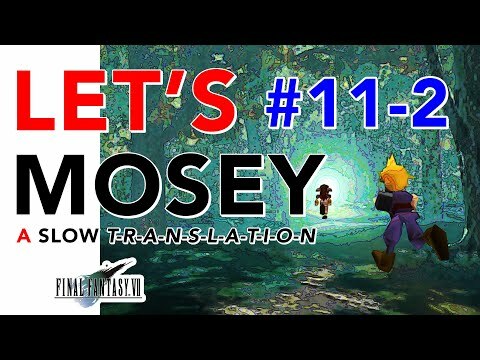 Will he come back? 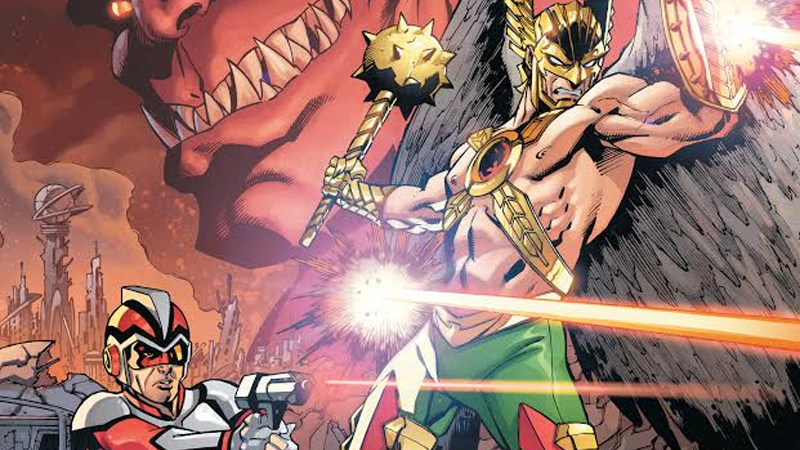 This is space cop Hawkman and not reincarnating Hawkman, so it's hard to tell if Katar does bite the bullet... but maybe it's just to clear a way for another new take on the hero. With Hawkgirl off on Earth-2 in the current continuity (it's... a long story) and the Hawks flying off into the sunset after their appearance in Legends of Tomorrow's first season, it might be time we got a new Hawkperson comic at DC. Hawk girl was always the better character anyway. Long answer: Yes, but the people who will don't count.